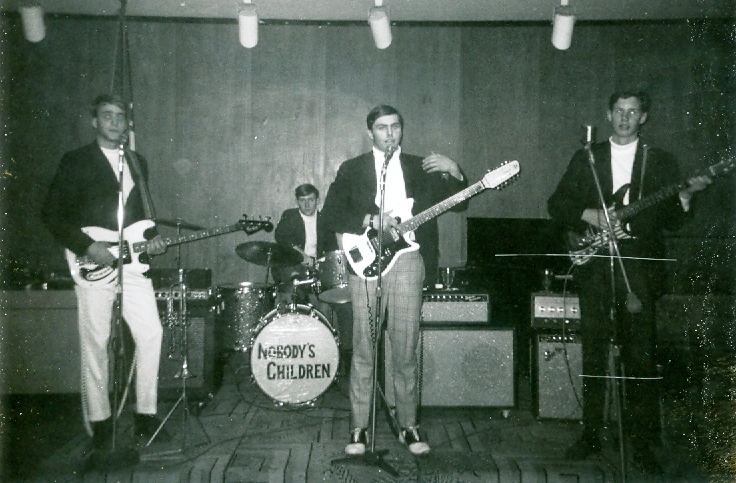 Nobody's Children can trace its genesis to the band The Lost Chords, which Lloyd Stamy formed in the fall of 1964 in Pittsburgh, Pennsylvania. The original drummer was Chris Frantz (Talking Heads, The Tom Tom Club). 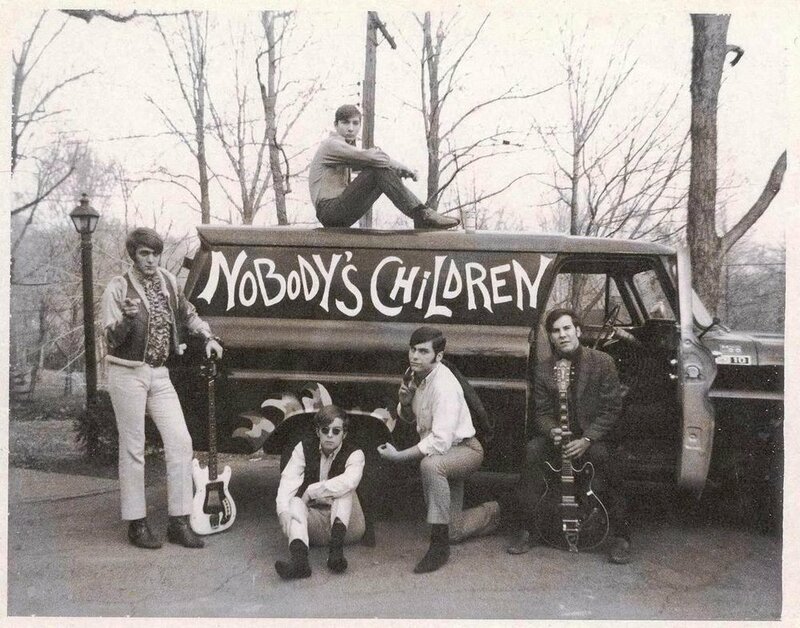 After several changes in personnel, early in 1967 the band began using the name Nobody’s Children, and Lloyd (lead vocals) took over on the bass guitar. 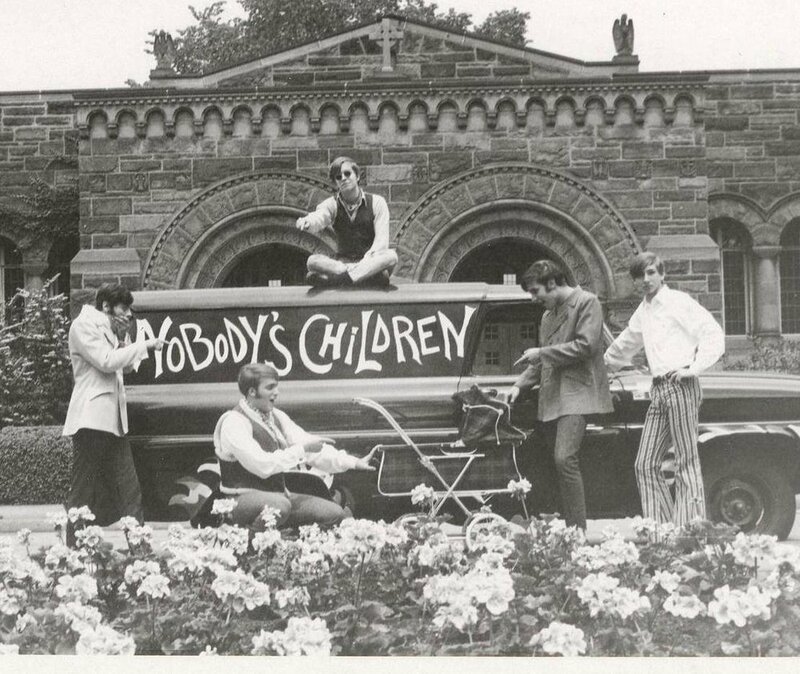 The final group that emerged in 1968 under the Nobody’s Children name were: Lloyd Stamy (lead vocals, bass guitar), Mike Meyers (drums), Randy Linhart (backing vocals and rhythm guitar), Fritz Shiring (lead guitar), and Tom Conlee (organ). 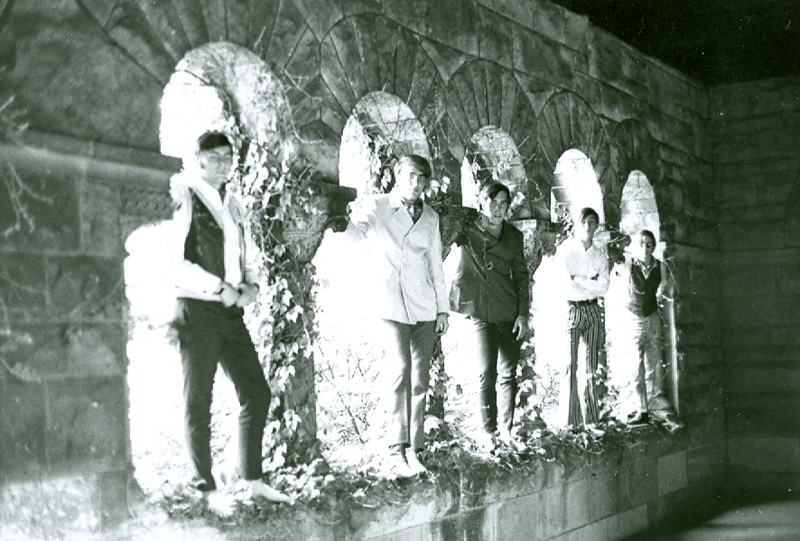 This band was popular, played a variety of venues in the tri-state (Pennsylvania, West Virgina, Ohio) area, and opened for several nationally-famous groups at the time. Beyond an extended list of oldies (early and mid-1960s), they played all the then-current music by The Doors, Jimi Hendrix, Santana, Iron Butterfly, Steppenwolf, Vanilla Fudge and others. One journalist labeled them an “acid rock band”, but that certainly didn’t define the versatility of a band that could also play In My Room by The Beach Boys or Good Lovin’ by The Rascals. the only occasion when we simply ran the tape while playing a few songs in a studio session environment. The two recordings below were chosen for their unusual commonality of background (see below) and to confirm the band’s versatility and breadth of repertoire. Don’t Let The Sun Catch You Crying (DLTS hereafter) was composed by Gerry Marsden in 1963, first recorded by his group, Gerry & The Pacemakers, and released in the United States by Laurie Records in May of 1964. Day Tripper was composed by John Lennon and Paul McCartney in 1965, recorded by their band, The Beatles, at the Abbey Road Studio in London on 10/16/65, and released in the United States by Capitol Records on 12/3/65. Interestingly, both of these bands (Gerry & The Pacemakers and The Beatles) were from Liverpool, England, and managed by Brian Epstein. Also, when covering these songs, the tempos of both were slowed considerably in the versions by Nobody’s Children. 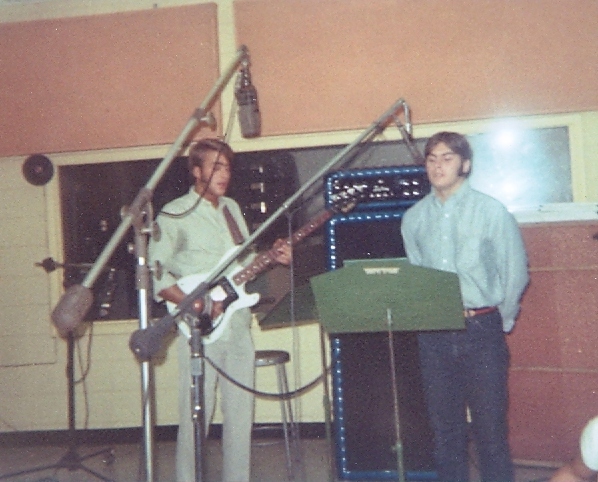 For instance, Gerry & The Pacemakers’ recording of DLTS is 2:33 versus the 4:07 length of Nobody’s Children’s version. The same is true of Day Tripper (2:49 by The Beatles and 4:42 by Nobody’s Children). Putting a metronome to these confirm that the cover tempos are about half as fast as the originals. 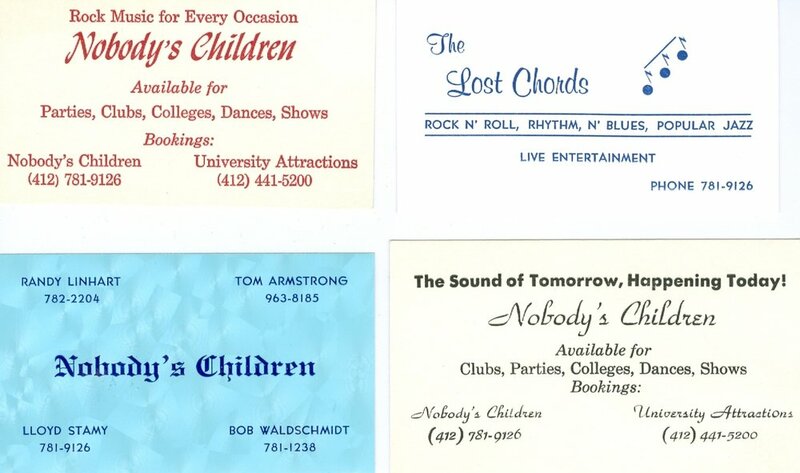 Vocally, the version of DLTS by Nobody’s Children is very lush and, as intended, was suitable for a slow dance number that bands of our era had to play at least once during every set. It was common for us to take a good song and deliberately ease the tempo somewhat in order to make it suitable for slow dancing, and I believe DLTS was one of those that worked rather well. In contrast to DLTS, our interpretation of Day Tripper was much grittier than the Beatles’ original recording -- both vocally and instrumentally. Fritz’ guitar riff added a nice biting edge to what was otherwise not one of the Fab Four’s best efforts. Our introduction of a pronounced syncopation throughout the song was an interesting departure from the original recording as well. 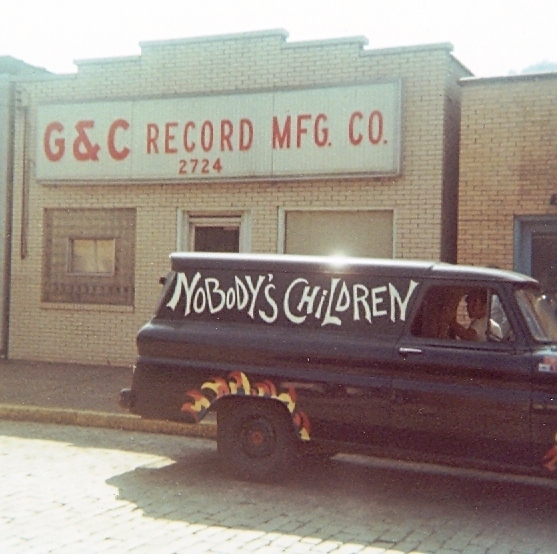 • Recorded by Lloyd Stamy & Nobody’s Children on 8/14/69 at G & C Records, 2724 Penn Avenue, Pittsburgh, Pennsylvania and engineered by Glen Campbell. • Technical Specifications – Scotch Magnetic Tape 201-1/4-1200 Dynarange Series at 15 inches per second; monaural (or single-channel) recording, digitalized without any enhancement by Steve Zelenko of Image Recordings on October 30, 2009. 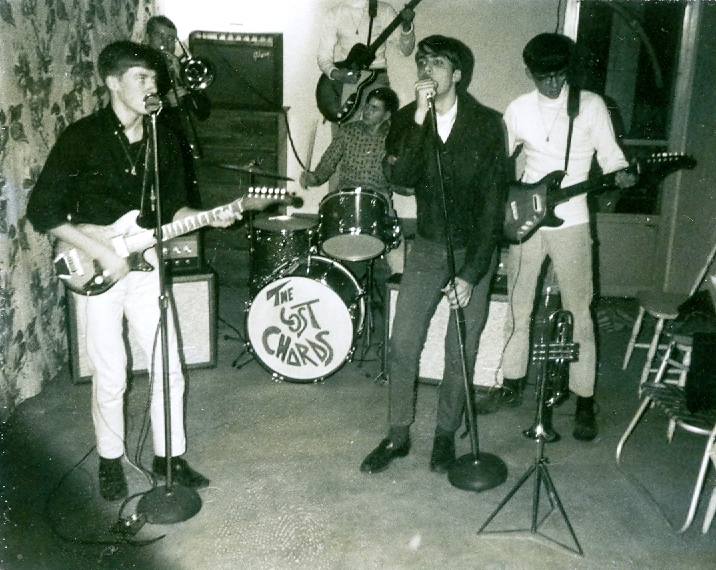 Nobody’s Children can trace its genesis to my first band, The Lost Chords, which was formed in the fall of 1964 (when in the eighth grade). Then I sang lead and played trumpet. We were a 6-some, with bass, lead and rhythm guitars, drums, trumpet and trombone! So, as a “cross-over” group, besides doing the typical hot stuff of the day by the likes of The Dave Clark Five, Beach Boys and early Beatles (as well as tunes like Louie Louie, Secret Agent Man and Johnny B. Goode), we could play instrumentals by Herb Alpert & The Tijuana Brass and things like other bands such as Chicago and Blood, Sweat & Tears would eventually produce. 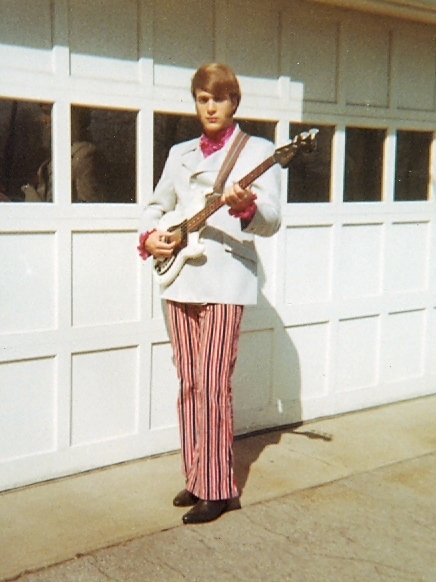 Early on I was enamored of singing like Mike Smith of The Dave Clark Five, so our playing outfits were patterned after their garb as well – black boots, white pants, white turtlenecks and maroon blazers. Like with most bands, along the way there were various substitutions. Of particular note is that our first drummer, Chris Frantz (and long considered our own Pete Best), would later co-found a world famous band called Talking Heads. His fans, of course, will know that Chris and his wife, funky and foxy bassist Tina Weymouth, were inducted into the Rock and Roll Hall of Fame in 2002 and currently have another extremely accomplished and internationally popular new wave band called The Tom Tom Club. When Chris and his mother, Suzanne, were at my home for dinner recently, she reminded us that on many of the occasions when we rehearsed at her home (often on Sunday afternoons), the police were summoned by neighbors to find out what the ruckus was about (especially on the Sabbath) and to turn the noise down. I have some great stories from our youth about Chris, particularly when we canoed in Canada one summer, but they will have to await his retirement from public life. The second drummer was Marc Puntereri, who played with us until quitting the band when he discovered girls (or, no doubt, they discovered him). His most significant appeal was a Beatle haircut, which he sports till this day. Both Marc and Chris Frantz played snare drum in the junior high marching band, and as you might suspect, Marc has always claimed to have taught everything he knew to his predecessor in The Lost Chords long before Chris relinquished his drum stool. A real showman, at the end of a set, Marc would often throw his drum sticks to pretty girls in the crowd. Marc and I would later attend the University of Virginia together and we continue to be in touch with some frequency, although he now lives on Hilton Head Island. 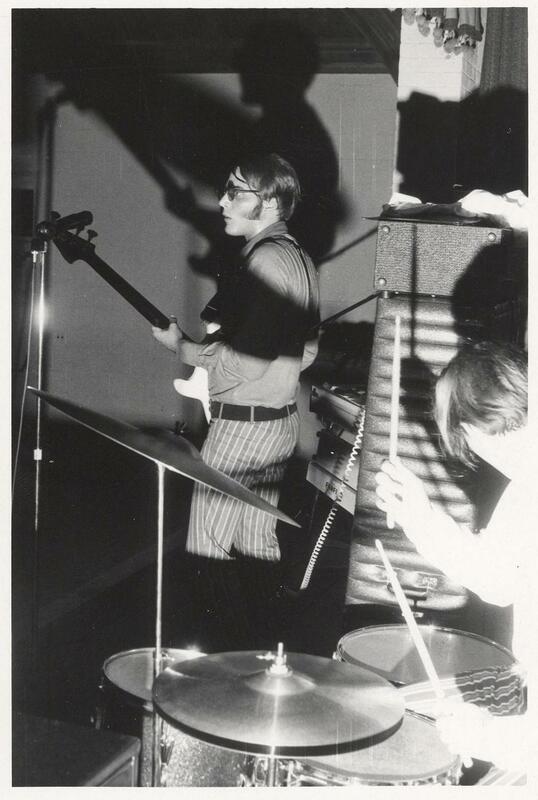 Other members were Ernie Meynard on trombone, Ray Bayer on lead guitar, Tom Kleeb on rhythm guitar, Herb Purcell on bass and Tom Armstrong as the third, final and most enduring drummer. 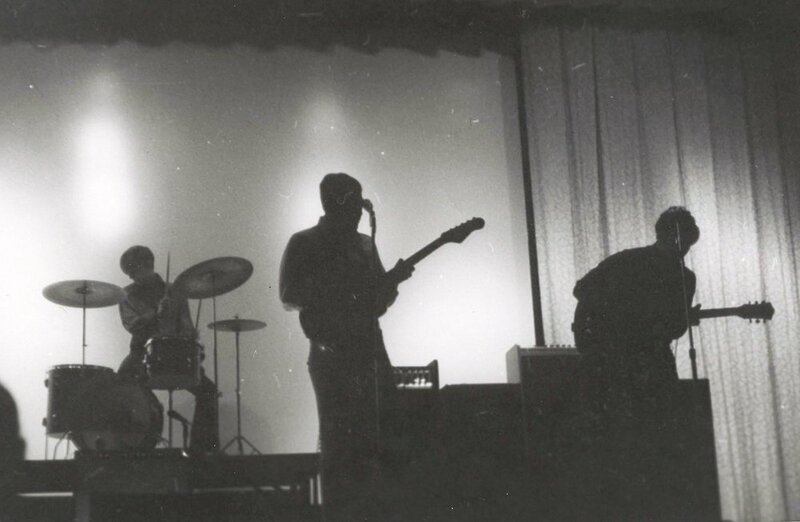 In this first band we ran nearly everything (guitars and vocals) through two matching Sears Silvertone amps that were Fender Bandmaster knock- offs, in that they had separate heads with two 12-inch speakers in the cabinets. In 1966, the trombonist was replaced by saxophone-playing Jim Conlee (coincidentally the older brother of Nobody’s Children organist Tom Conlee). Jim’s favorite number, of course, was the sax solo on Wooly Bully by Sam the Sham & the Pharaohs. Conlee eventually became a disc jockey for a variety of stations across the country, but returned to a Pittsburgh radio station in the summer of 2009. 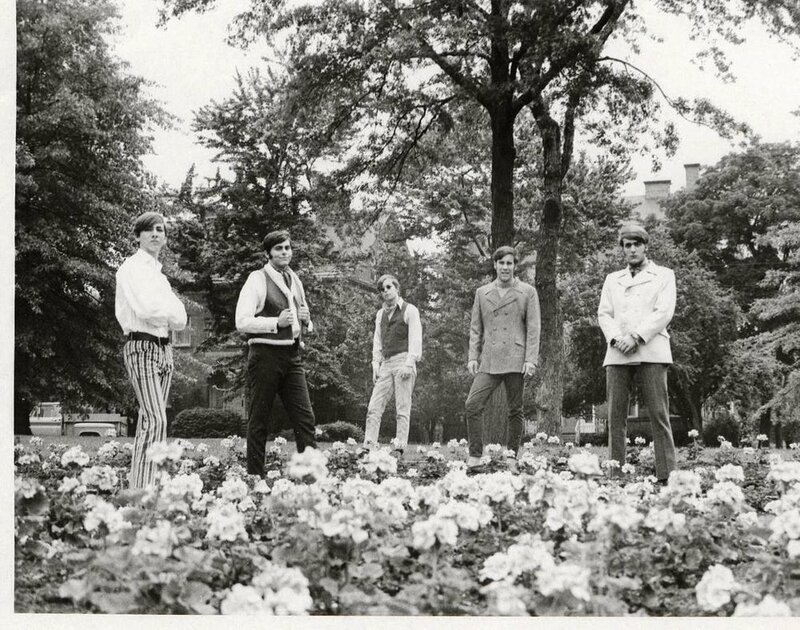 When the brass elements lost their popularity as music morphed into harder rock, I abandoned my trumpet and folded The Lost Chords to form what would be a couple of very short-lived bands called The Saints and then The Saints & Sinners in the fall of 1966. Band members changed with some frequency, and all we seemed to do was practice in order to bring any new members up-to-speed, as there were only so many paying gigs. But changing our name once more seemed to help. 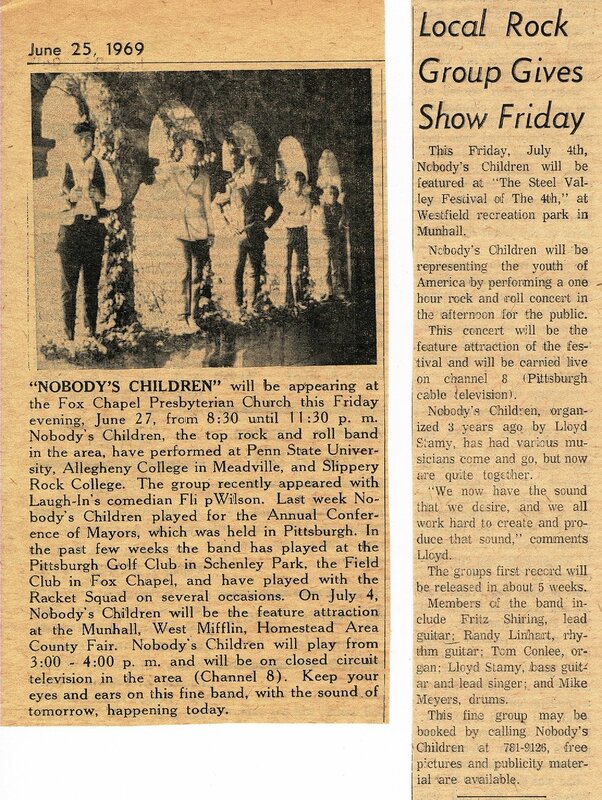 Early in 1967 we began using the name Nobody’s Children, and that was when I took up the bass guitar. I was an awful player, and did so only under duress and out of necessity. 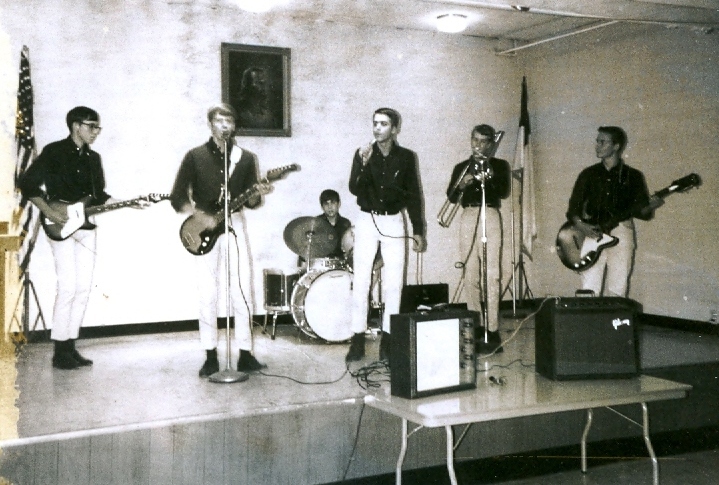 In those days the going rate for a band to play a dance was about $200, no matter how many were in the band. It seemed foolish for me to be only the lead vocalist without also playing an instrument. And since nobody really wanted to play bass, I got saddled with the duty in order to keep from splitting the $200 with yet one more player. I was unable to persuade the other guys that neither The Rolling Stones nor Paul Revere and The Raiders ever had this problem with Mick Jagger and Mark Lindsay. The play list was eclectic, but good, and I even resurrected my trumpet for a couple of numbers. 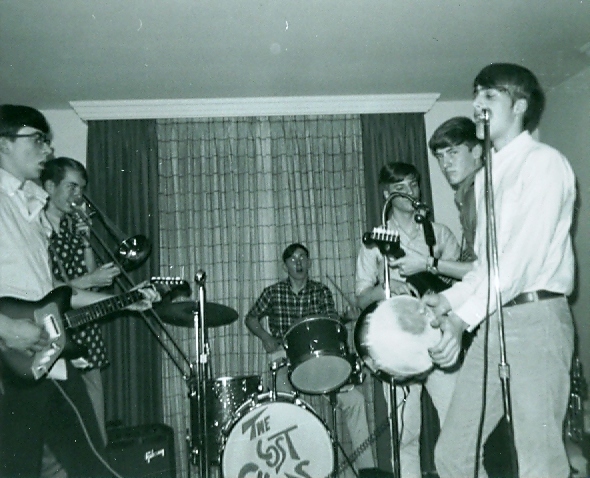 Among the notables in these bands were Ted McCague on lead guitar and Tom “Tape” Middleton on drums. Ted played an Epiphone Casino, the same guitar that Keith Richards used on The Stones’ recording of Satisfaction and The Last Time, and could duplicate the sound perfectly through either his Fender Twin Reverb or Fender Bandmaster. Today, as an avocation, Ted continues to get his weekly licks in by playing and recording with a Pittsburgh-based band called Full Steam Ahead. 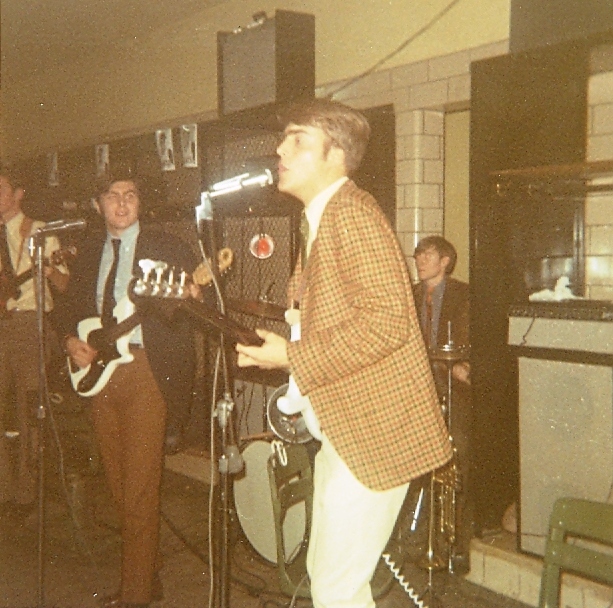 Another guitarist and classmate, Bob Waldschmidt, played with us briefly after having played in another band with his older brother, Chad, called The Idlers. Randy Linhart played in all of these bands and Tom Armstrong (a hold-over from The Lost Chords), eventually replaced Middleton on drums. in the tri-state area, and “opened” for a few nationally famous groups at the time. Beyond an extended list of oldies (early and mid-1960s), we played all the then current music by The Doors, Jimi Hendrix, Santana, The Iron Butterfly, Steppenwolf, Vanilla Fudge and others. 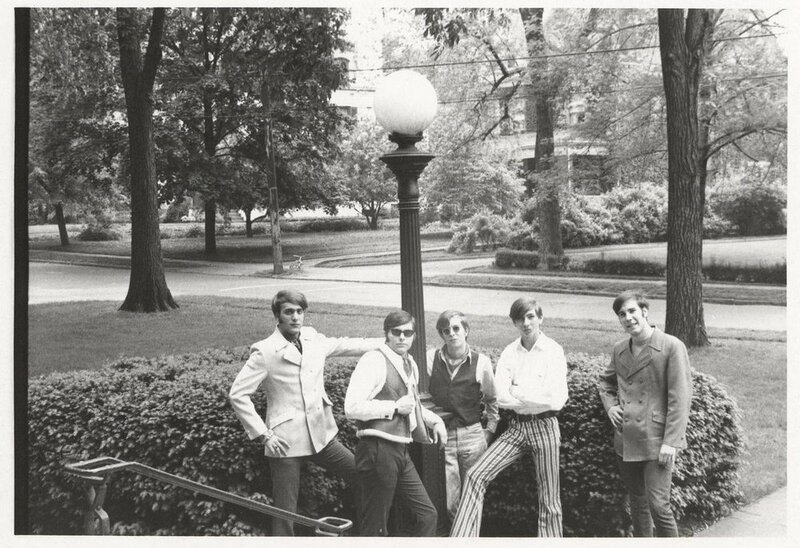 One newspaper called us an “acid rock band”, but that certainly didn’t define the sound of a band that could also play In My Room by The Beach Boys or Good Lovin’ by The Rascals. he wrote was typically of a higher caliber and particularly well suited for Nobody’s Children. My mother was a well regarded singer in her day (from opera to Broadway show tunes), and in the late 1940s had her own weekly radio show on KDKA radio. Therefore, I was “subject” to early classical vocal training, and began singing in my church choir in March of 1967 at age 15. Therefore, the appeal and complexity of Doug Ingle’s music was a natural fit. We hauled our equipment around in a very special truck. Fritz’ father had been the surgeon for the City of Pittsburgh Police and Fire Department, and was able to procure an old police paddy wagon that had bench seats around the inside perimeter for prisoners. It was also a tall truck that could accommodate everything but our stadium amps in an upright position, so was the perfect solution to moving all the gear around. I remember spending an entire week hand painting the band’s name on the sides with hot yellow and red flames streaming from all four wheels. Lately I was reminded that the truck may have been used for other purposes as well from time to time. 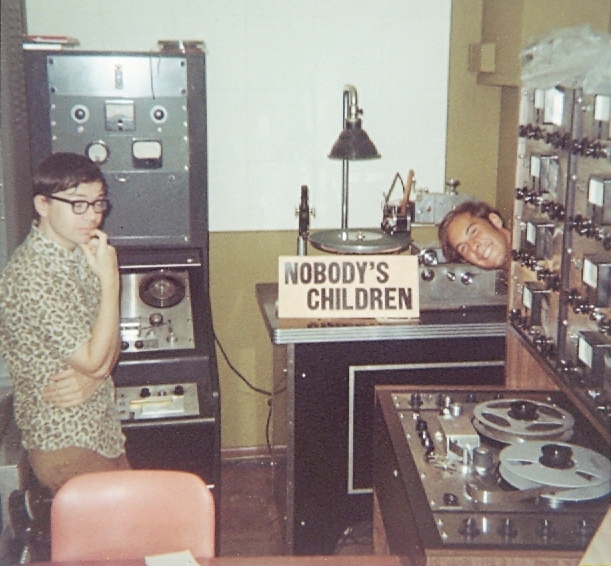 Our regional success was helped along by my good friend Chuck Brinkman, Program Director and disc jockey at what was then Pittsburgh’s premiere AM radio station, KQV. Chuck also hosted a weekly TV show that featured big-name bands and was a much sought after national spokesman on rock ‘n roll. He frequently arranged for us to appear at shows and record hops/dances with him and other KQV personalities, including Jim Quinn and Fred Winston. 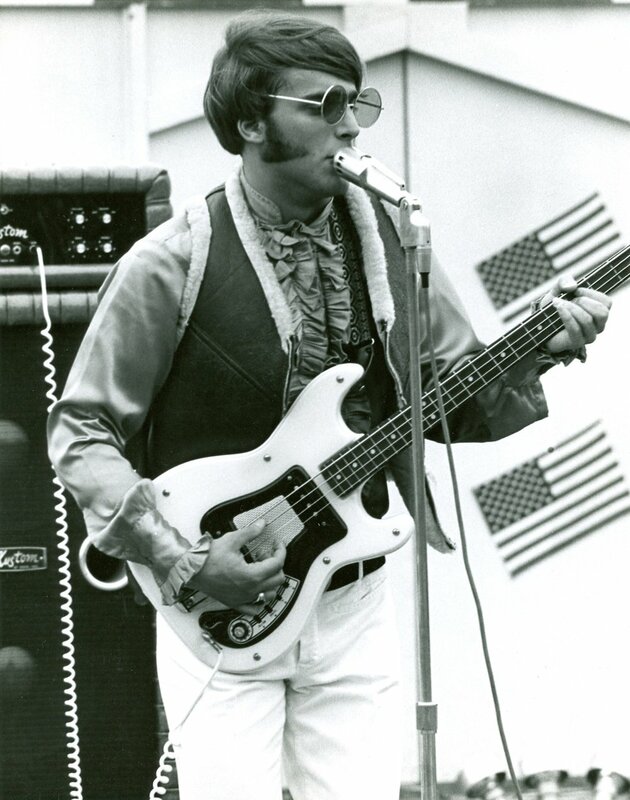 Besides introducing The Beatles and every other 1960s band on stage during their tours through Pittsburgh, I believe Chuck has broken more records than nearly anyone else in the industry. Despite a recent stroke, he is still on the air in Dallas, and we keep in contact. Randy Linhart and I were the only two members who played together through all the editions of the Saints, Saints & Sinners, and Nobody’s Children bands. Beyond seniority, since we were the singers, we could usually decide what the playlists would be. Because Randy had more starch in his Gant shirt collars than virtually anyone else and wore expensive, colorful sport coats, his nickname in high school was “The Country Squire” or just ”Country”. We remain close friends, and he continues to look gentrified today, marketing industrial hydraulic lifts to the transportation industry and residing in Salisbury, near Charlotte, NC. He and his wife Julie have three grown children. Unable to resist telling at least one story about Randy, let me briefly convey that back in 1968 he made one terrible mistake in life. As amplifiers got bigger and more powerful, in lieu of investing in a larger piece of equipment, he, of course, just continued to buy more clothes. So, to boost the sound of his guitar in order to compete in the increasingly larger (and occasionally outdoor) venues, he decided (on his own) to re-manufacture what had always been a marvelous Fender Deluxe Reverb amp. Instead, of course, he ruined it. By cutting the top off to make a separate head, then building a new speaker cabinet to accommodate the original 12 inch speaker plus another that he added, the thing never sounded good again. In fact, it’s most notable output from then on was feedback. However, from 20 yards away it looked very good, and to the untrained eye, could pass for a Fender Bandmaster. Somehow he was able to secure some speaker cloth that was close, but not quite a match, to the real Fender cloth, and at first glance you couldn’t tell that the black vinyl covering the home-made speaker case wasn’t the real deal. 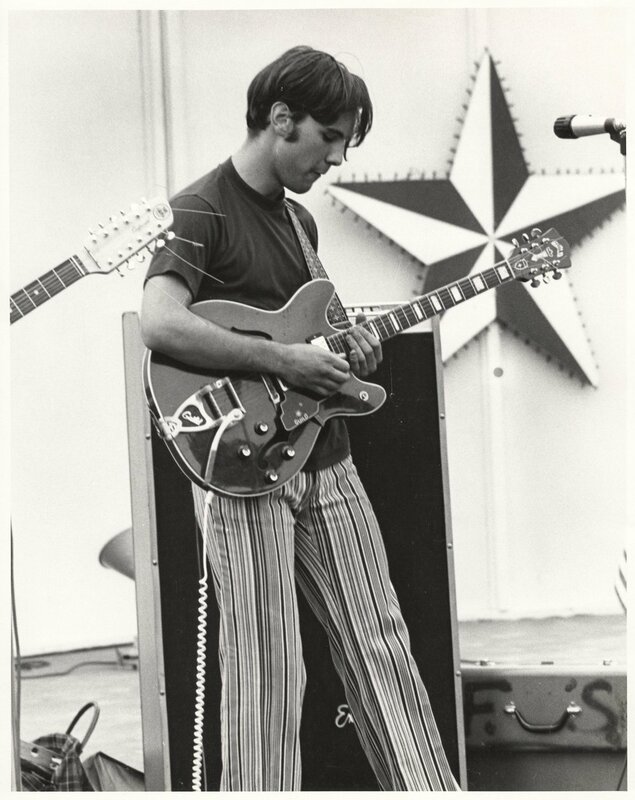 Fritz Shiring was one of the most talented guitarists that I’ve ever known or heard. He was impressionistic, expressionistic and interpretive. He was also hard to manage. As the titular head of the group, it was up to me to decide when any of the players’ solo passages were to end. This was important when playing songs like In-A-Gadda-Da-Vida, which was already long enough with extended guitar, organ and drum solos. When I gave “the nod”, it was supposed to mean that your time in the sun was over. Fritz would simply shake off the sign like a major league pitcher, then smile and turn his back to me so that he could get a few more licks in on his Guild Starfire VI (then played through a Baldwin Exterminator). Fritz’ mother was not only a saint, but especially indulgent when it came to our band, which is how the Shiring’s basement became our sole place to rehearse. Believe me, it was a real blessing to leave all the equipment “set up” in a permanent space to practice between gigs. Fritz is now a consulting chemical engineer in Houston (where he has lived for the last 20 years), but as we all suspected he would, continues to play guitar on the side. Recently, Fritz admitted to me that he currently has at least eight vintage guitars, but only six or seven amps. Mike Meyers and Fritz were (and no doubt probably still are) a year younger than Randy, Tom and I. Like me (a trumpet player in the Fox Chapel High School band), Mike also was involved in what our parents called “legitimate” music in those days. A clarinet player in junior high, Mike eventually played bassoon in the high school symphonic band, which no doubt made him an infinitely better percussionist. More importantly, Mike was also Fritz’ back door neighbor, and would therefore show up for rehearsal within minutes after hearing a few dulcet strains from our guitars. He has worked for Pittsburgh-based U. S. Steel his entire career, and is a big cheese there now as General Manager for Sales. Married for 34 years with two grown sons (a lawyer in Pittsburgh and a chef in New Orleans), Mike currently lives in Chicago. As to his equipment, Mike recently confided that after moving his old Ludwig drum set around for four decades (and resisting the temptation to peddle it on e-bay), he just shipped it off to a nephew in California with the hope that the drums and cymbals would rock on under new ownership. Of course, he will regret that decision when he has to buy new drums for the Reunion Tour. Tom Conlee was a neighbor and classmate (Randy, Tom and I were in the Class of 1969 at Fox Chapel High School in suburban Pittsburgh). He often hung around to listen while we practiced. One day he asked if he could join in on the piano, which we weren’t even aware he could play. But play he did! Within a week we bought him a Farfisa organ (“on time”, as expensive things were once acquired before credit cards) and he joined the band to make it a five-some. He was an inspired virtuoso on keyboards, but rarely sang a note. Unfortunately, I only recently learned that Tom died on 12/15/08 from a brain aneurysm that, coincidentally, had also prematurely taken his father’s life in 1969. 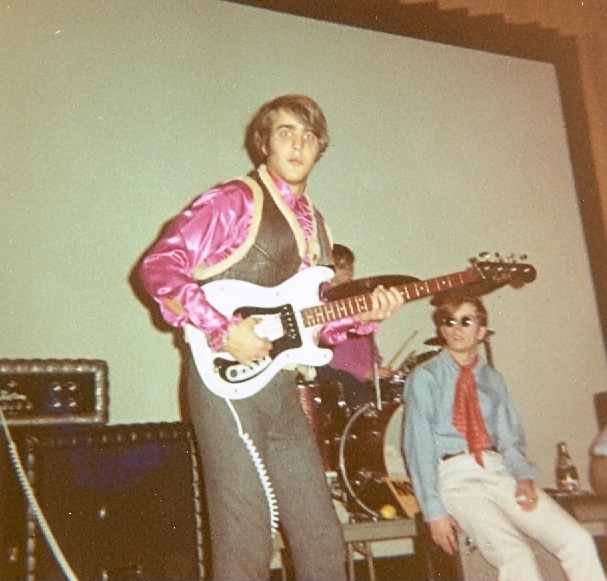 Lloyd Stamy My equipment was a white Hagstrom bass played initially through an Ampeg with one 15-inch JBLansing speaker, then a huge, but ugly sparkle blue Kustom amp with three 15-inch JBL speakers. Truth be known, it was a bit gawdy, but this amp had history, having been used for two weeks by Tommy James & The Shondells when I bought it. 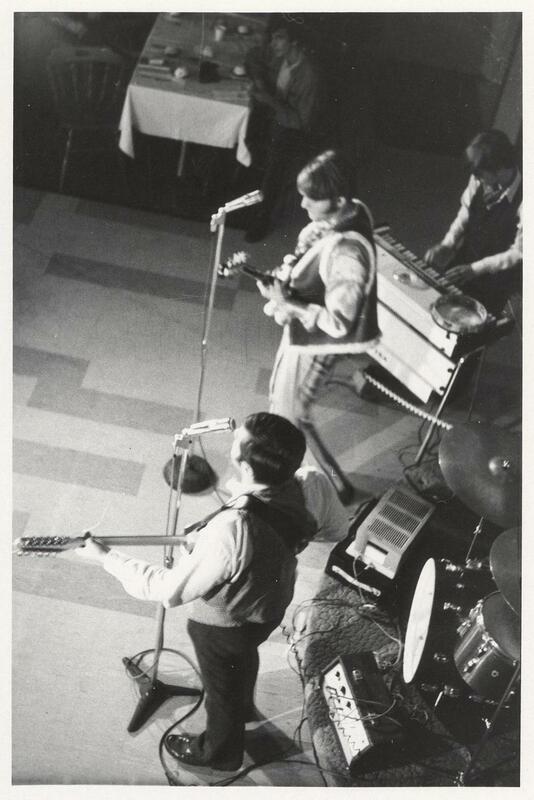 Before joining Tommy, The Shondells were formerly a Greensburg (near Pittsburgh) band called The Raconteurs. 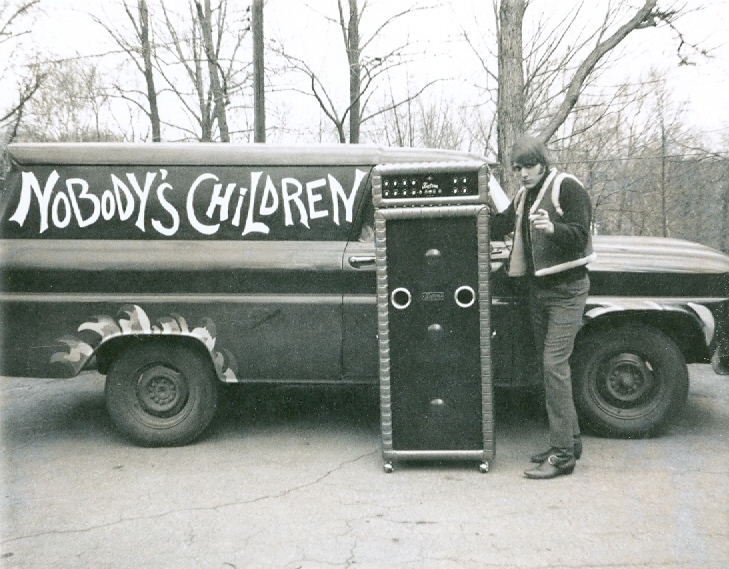 When Tommy’s first record, Hanky Panky, broke in Pittsburgh (two years after it had been recorded), Tommy immediately came to town and hired The Raconteurs to become the Shondells. Well, after two weeks they had the good sense to change the color of their Kustom amps from sparkle blue to white, which is how I came to own one of their ugly cast-offs (although at an attractive discount). For forty years now I have stayed awake at night, haunted by the notion that it was the funky color of my amp that prevented us from becoming as successful as Tommy James. I have been with an institutional investment management firm in Pittsburgh for the past 25 years, and continue to sing (since 1967) in the chancel choir at Shadyside Presbyterian Church, where I am an occasional baritone soloist. My children, ages 14 and 10, are daily blessings who keep me feeling and behaving younger than I otherwise should. Unfortunately, they don’t believe me when I insist that there has been a dearth of good music written since about the time The Beatles broke up. When not attending Cub Scout meetings with my son, I write fiction and non-fiction under an assumed name.